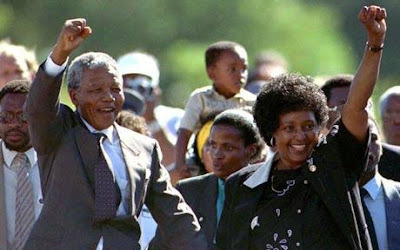 A few years after Nelson Mandela was released 20 years ago from today, having been imprisoned for 27 years by the apartheid, he became the first black African to rise up to presidential power in South Africa. Happy 91st Mr. Mandela. Thanks for all the revolutionary efforts and for the inspiring presence that you greatly provide within this chaotic globe we live in. 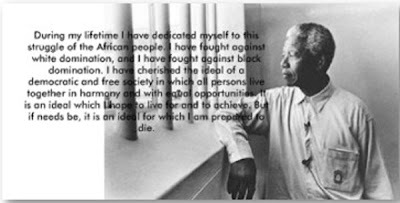 Photo taken while Mandela was imprisoned for 27 years by the apartheid, the white supremacists who invaded South Africa and sought to dominate the black majority of South Africans.